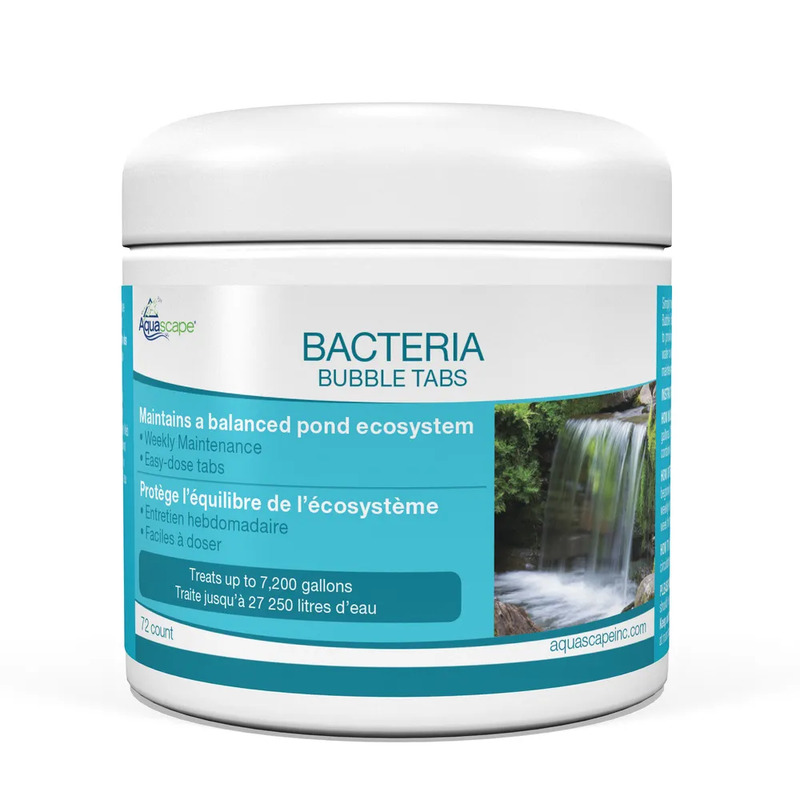 Bacteria Bubble Tabs - Aquascape, Inc.
Aquascape Beneficial Bubble Tabs help to provide clean, clear, and healthy water conditions, significantly reducing pond maintenance. 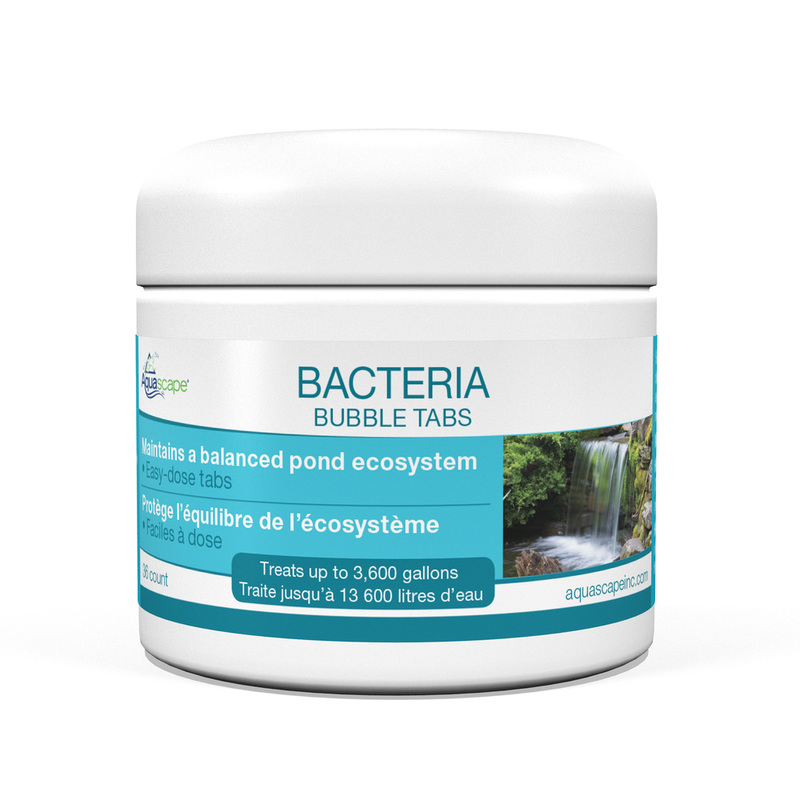 Our Bacteria Bubble Tabs will effectively reduce waste and help promote a balanced ecosystem, allowing you to spend more time enjoying your water feature. Bubble Tabs can simply be tossed directly into the pond, providing a fun and easy way to add water treatments to your pond. 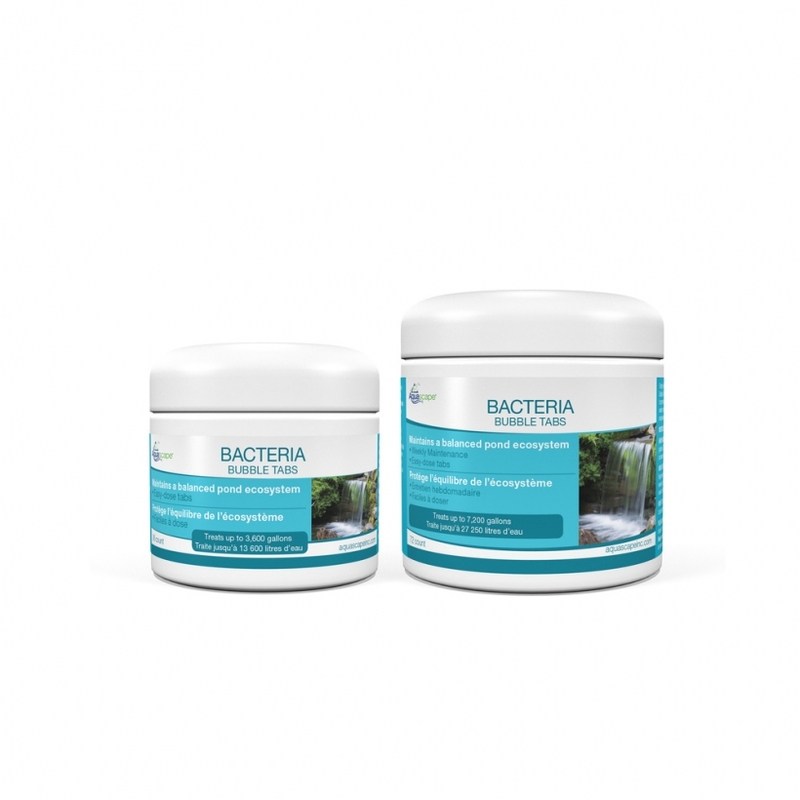 Bacteria Bubble Tabs is completely safe for fish, plants, pets, and wildlife. Each tab will treat 100 gallons.